MoneySpyder are pleased to announce the launch of 7stripe. 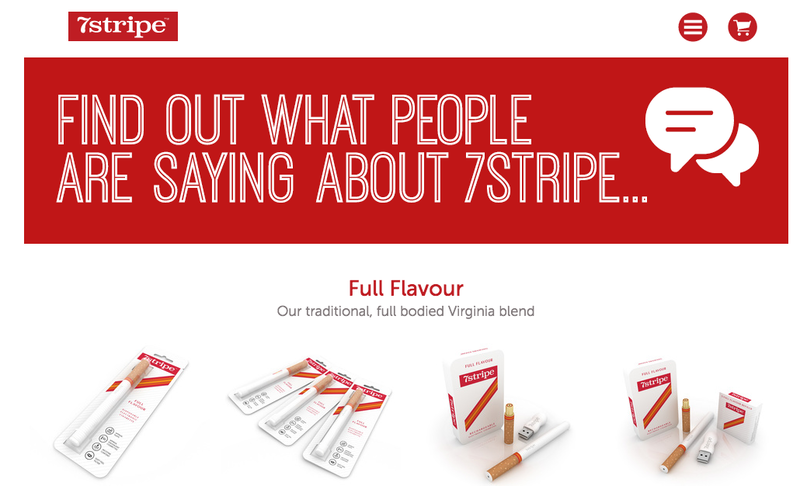 A new player in the ecigarette market, their focus is providing high quality cigalikes which have a realistic flavour and provide a satisfying alternative to real cigaretttes. The site comes with all the key elements needed for growing a brand. It has the usual ecommerce functionality: best practice checkout, responsive mobile template, and SEO ready page designs. It also has built-in blog functionality and an advance promotions engine. If you're looking for a new platform, or you want to know how to make the most out of your current platform by removing key conversion blockers, get in touch with us on info@moneyspyder.co.uk.